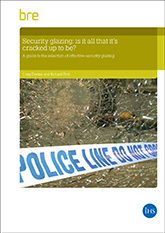 The BRE Trust-funded research project ‘Security glazing: is it all that it’s cracked up to be?’ followed a spate of burglaries in the West End of London in 2008. The burglaries in London used ‘smash-and-grab’ attacks to steal expensive goods such as jewellery and designer clothing from window displays. This attacks showed that in some cases glazing offers the least resistance to forced entry in situations where criminals are not deterred from generating noise. This was further demonstrated in the 2011 series of riots in UK major cities. Whilst the project focussed on security, an associated safety issue identified was that the majority of injuries from explosive events, including terrorist attack, invariably result from flying glass particles. As such, the correct specification of glazing to resist attack and reduce injury is vital. Standards are critical to the selection of an appropriate product. 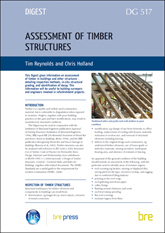 However, in the case of glazing a number of different standards have been developed based upon specific test requirements. For example, glazing under test may be subjected to a simulated manual attack or impacted by a known mass at a known velocity. The results of such tests are not always directly comparable with those of tests conducted to other standards. An understanding of which standard is best suited to a particular application is therefore useful. 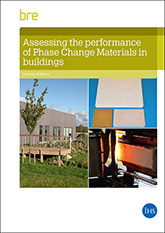 This publication has been produced from a BRE Trust-funded research project to investigate the performance and safety of glazing in security applications. It outlines the different types of glazing, guides the reader through the maze of applicable standards and offers advice on selecting glazing systems appropriate to their intended use. 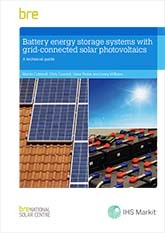 -What performance data are available?